Deer Buck Trophy that is 9 inches tall and comes with free engraving. 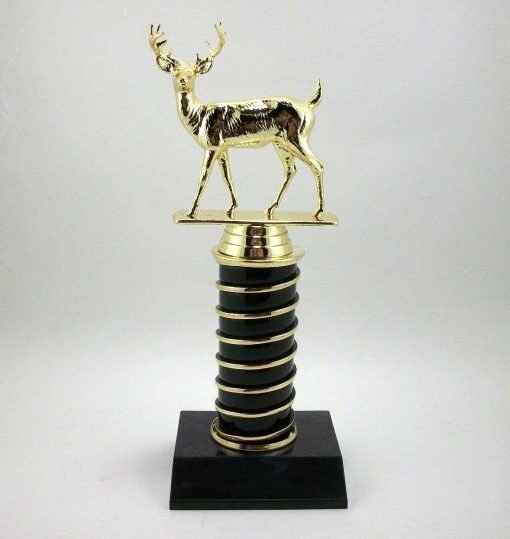 A 9 inches tall deer buck trophy, comes with free engraving on brass name plate. A 9 inches tall deer, buck trophy, comes with free engraving on brass name plate.